While dogs are acclaimed to be “man’s best friend,” experience tells us that dogs can sometimes become very vicious turning on people or causing injuries in an attempt to simply protect itself. Unfortunately, in such situations, the injuries involved can be quite serious. When dog bite injuries are serious, there are monetary and emotional damages and losses experienced by the victim such as medical bills, lost wages, and the potential future loss of income due to a victim’s inability to earn a living because of disfigurement. If the victim is a child and / or there are facial injuries, it is possible impacts may be more significant than initially thought and these can be overlooked or minimized by a well-meaning caregiver. An attorney with the proper expertise has the ability to objectively evaluate both the strengths and the weaknesses of a claim. If you or a loved one has been involved in a dog attack, call Rotolo Karch Law. 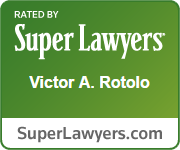 Victor Rotolo, Steve Karch, and their team are experienced attorneys. As a former police officer and now as an attorney, Victor Rotolo has spent his career protecting people. The attorneys at Rotolo Karch Law have the experience to advocate for your rights. The following is a list of suggested actions to take if you or someone you love is involved in a dog-biting incident. Identify the dog: knowing the identity of the dog will allow for further examination of the dog should that be required. Identify the owner: obtain the name and address of the dog owner. Obtain dog license information if possible. Obtain the dog owner’s insurance information if at all possible. Identify potential witnesses by name along with their address and telephone number. Take photos of the dog bite victim; the photos should show any area of the body that has bites or injuries including any wounds or bruises; include pictures of bloody clothing. And, most importantly although difficult, write down exactly what happened as soon after the incident as practical. It is important to do this while the incident’s details are fresh. While doctors are more interested in attending to a victim’s medical state as well they should be, in order to protect the rights of the victim, the extent and nature of the injuries needs to be documented. In this regard, obtaining and retaining the proper documentation of injuries is necessary. If you or a loved one is involved in a dog bite case that is likely to involve ongoing medical treatment, your attorney at Rotolo Karch Law will gather the facts and evidence and will monitor the medical treatment from a legal standpoint. 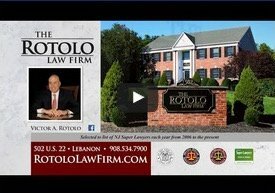 Your Rotolo Karch Law attorney will communicate on your behalf to your insurance company clearly the extent and nature of the injuries and the treatment that is taking place, so the focus of the victim and the victim’s loved ones remains on healing. If you or a loved one is involved in the serious injury incident involving a dog, the victim (or parent/guardian on behalf of the minor victim) should not sign any type of documentation related to the incident including documents presented by the insurance company, the dog owner, or the property owner or landlord of the property where the incident occurred. Cosmetic surgery in the future will NOT be covered by your health insurance. If cosmetic surgery is required in the future, it will be considered "cosmetic" and, therefore, will not be covered by health insurance. If a claim is brought now against the dog owner or other person that is liable, fees for future cosmetic surgery may be included in the claim. Do not hesitate to consult Rotolo Karch Law. 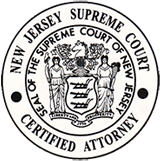 In New Jersey there are "statutes of limitations," which are laws that govern the specified time within which a victim must file a court case after sustaining body injury; if the claim is not filed within the time specified in the statue of limitations, all rights are then abandoned. YOU DO NOT PAY ANY ATTORNEY FEES UNLESS WE WIN YOUR CASE. Attorneys' fees are only collected if your case is resolved successfully on your behalf. These fees are referred to as "contingency fees" because the fees are dependent (i.e., contingent) upon the success of your case. If you cannot come to our offices, we will meet you where it is convenient.